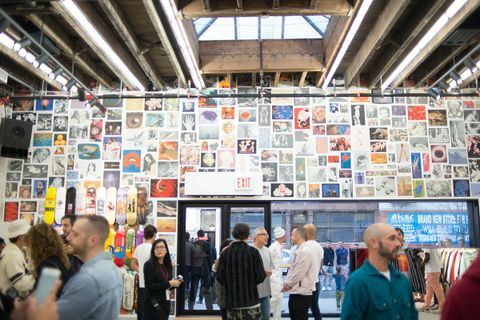 Yesterday it was announced that James Jebbia had sold a stake of Supreme to private equity firm The Carlyle Group. So what does it mean? Potentially quite a lot. But first, who or what are The Carlyle Group and why does this multinational, private equity, alternative asset management and financial services corporation (jheeze) have an interest in streetwear? Named after a New York City hotel where founders William E. Conway Jr., Daniel D’Aniello and David Rubenstein met in 1987, The Carlyle Group are a private equity firm who, in layman’s terms, buy valuable companies, make them more valuable and then sell them on. It would be remiss not to clock the amusing parallel to resell culture here, i.e. a bogo hoodie is bought and then resold for a much higher price, ergo increasing its value. It’s the same kind of deal with private equities, except with much bigger numbers and less streetwear bots. 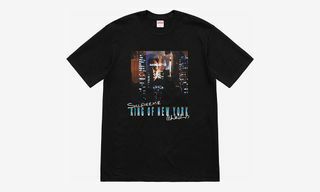 Industry publications WWD and Business of Fashion speculate that a 50% stake in Supreme had been sold to The Carlyle Group, and value the cult streetwear brand that began with just one store in 1994 at a billion dollars, which ain’t bad at all. By moving in with The Carlyle Group, Supreme are essentially becoming the opposite of a publicly traded company. 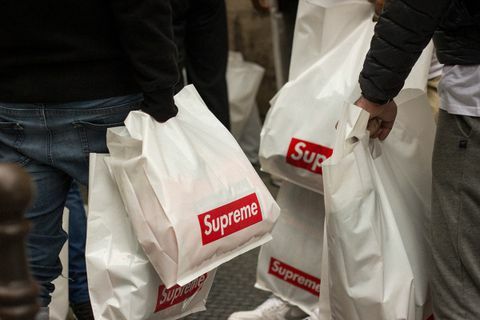 Instead of selling shares, Supreme have been granted private funds (hence the term private equity) as well as access to the wealth of The Carlyle Group’s 1,500+ employees whose skillset is founded in growing businesses on a global scale. 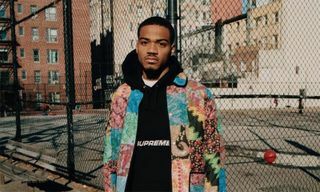 So how will Supreme, whose entire identity is built on insider knowledge, product scarcity and avant-garde creative direction, fare when half of its company is effectively handed over to suits and ties in Washington D.C.? 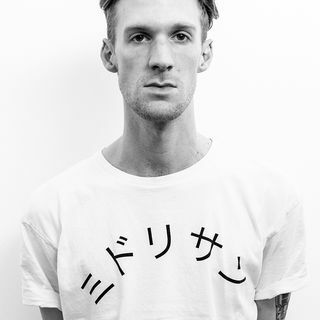 While this is The Carlyle group’s first foray into the streetwear market (this is indicative of streetwear status quo in itself), the company’s investment portfolio spans across a variety of sectors. Currently on their books are a few brands you know, such as Beats Electronics, aka Beats by Dre. This is kind of important as Beats landed itself in a very similar deal with The Carlyle Group in 2013, when they sold a 50% stake for $500m. The Carlyle Group swiftly exited the investment and sold their stake to Apple for $3 billion after just eight months. 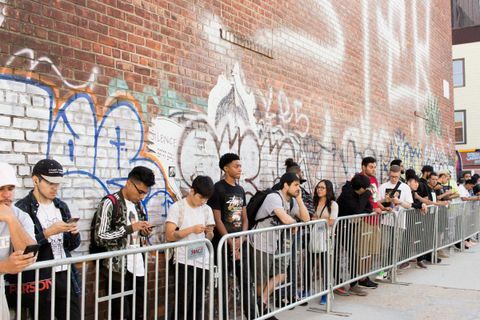 That’s a rapid turnaround, and if you’ve been on the subway or watched any corporate-sponsored music video recently, you’ll notice that when it comes to the young adult market for mid-range headphones, it’s Beats By Dre for days. Could we expect a similar kind of hyper-growth and acquisition with Supreme? 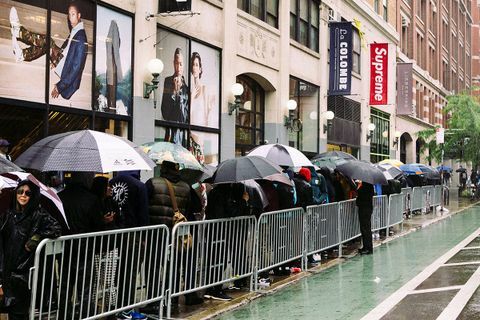 It’s the kind of thing that’s worrying fans — one lamented on Highsnobiety’s Instagram, “congrats to the Supreme team for cashing out before the hype is done”. According to their online portfolio, The Carlyle Group has also provided investment with Moncler, Vogue International, Dunkin’ Donuts and Dr Pepper. Some more off-piste businesses on their books include the 2007 purchase of Synagro Technologies, a municipal sludge hauler for $5.75 a share. For moving around something as unpleasant as actual sludge, that’s probably a pretty sweet deal. It’s not all sludge and soft drinks though. Similar to Supreme, The Carlyle Group have courted a fair amount controversy in their few decades of operation. The group had built something of a reputation for its acquisition of businesses such as United Defense Industries, who develop missile launchers, combat vehicles and other super dangerous stuff. Prior employees include former U.S. President George H.W. Bush, who sat as a senior advisor for five years, and former British Prime Minister John Major who was chairman of Carlyle Europe from 2001-2004. What really gets people though, is that amongst their thousands of investors are the Bin Laden Family. This includes Shafig Bin Laden, Osama Bin Laden’s half-brother) who was in a meeting with the heads of the company in Washington the morning of 9/11. It was this angle that prompted documentary filmmaker and habitual baseball cap wearer Michael Moore to target The Carlyle Group in his 2004 film Fahrenheit 9/11. Moore made allegations that The Carlyle Group had been politically infiltrated, particularly by the Bush administration, and as Fahrenheit 9/11 is still the highest grossing documentary of all time, the suspicions surrounding the group were made more or less public knowledge, and prompted a lot of Youtube conspiracists. Controversy aside, The Carlyle Group were ranked as the no.1 largest private equity fund in the world, so it’s a big fish, but so is Supreme. How the two will work together could go in a number of ways. 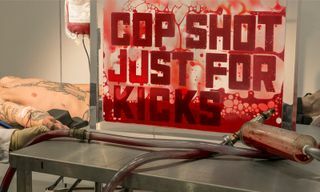 One option is that nothing really changes; Supreme uses its 500 million to expand (probably in China, where the thirst is real) and iron out its small-business minded flaws in an organic way, whilst keeping true to its core values and high-demand/low-supply business model. This is the best option for everyone: Supreme makes mega bucks, resell culture calms down a bit and the Chinese market is satisfied. 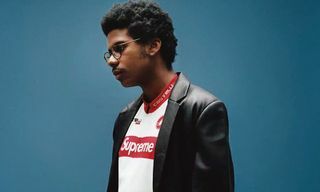 An alternative to this is that we see a slow but potent drip of corporate culture and identity diffusion seep into the brand, toxifying its product, alienating its fans and ultimately undoing what made Supreme so successful in the first place, that it was cool. 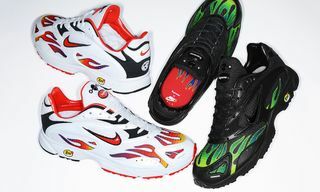 What Is the Nike Air Streak Spectrum Plus, Supreme x Nike’s Hot New Collab?